Combining styles is quite common but we usually see them mixed together. In the case of this particular project, two very distinct styles were used independently and the differences between them are very clear and visible. This is the Serafides House. 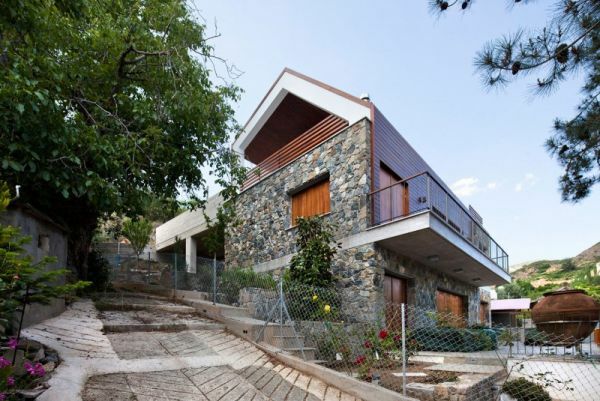 It’s located in Platres, Cyprus and it’s a residence that combines a traditional exterior with a contemporary interior.